This Chef Can 86 Hunger! 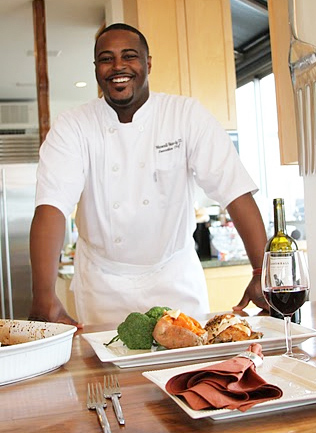 bringing the culinary arts to inner city schools. Donna: What was it that got you so interested in food? of the evening. My mom and dad, aunts, uncles were all great cooks. By high school I was a chef. D: Why did you want to bring culinary arts to a Harlem high school? equipment and things they need. life skills and bring something tangible that the kids could use in their lives. CM: Yes I was able to combine both my passions and loves. Charter School? How long is the class? CM: I teach Wednesdays and Fridays, 7 Am to 12noon. D: You really do have a full schedule. CM: Yeah, it’s a little crazy right now. D: Tell me what goes on during one cooking session with the kids? whether it is Caribbean, Italian or another region we will cook foods from. recipe we learned from that region. learn at a culinary school. culum. Were you always interested in nutritious cooking? different from cooking healthy for a professional athlete? like and hiding vegetables in it. brussels sprouts and actually liking them. have not been exposed to these different foods. or ingredient because we don’t know how to cook it. D: Yes, that’s really a smart way to go. techniques you teach your students at Opportunity Charter School? 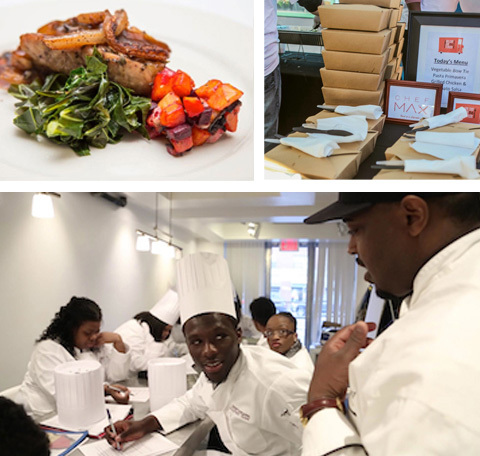 learning to cook and looking to enter the culinary arts industry? challenging at times but fun. and helped to get me through culinary school. author — what is the one thing you enjoy most? have to do my part and pay it forward. your body. Was that your idea? CM: Actually, Amar’e bought the farm and I manage the farm for him. than food right from the farm. much longer than kale purchased from the supermarket. street than to the super market. In the end it’s really fresher. access to the freshest vegetables and fish? book which comes out in June. D: Whose idea was it to do the cookbook? techniques and skills. It was really fun. 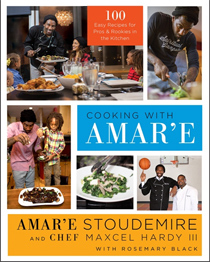 D: Does “Chef Stoudemire” have recipes in the book as well? and eggs and he does a great green juice. 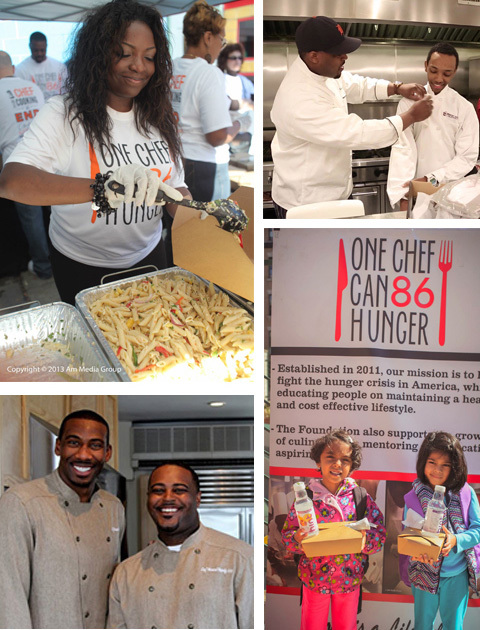 Chef Can 86 Hunger” campaign? to create programs and get into all the cities across the US. D: What’s needed now to help? hunger. It’s not just monetary, we could use help in spreading the word too. able to do all these things and we will continue to strive.